Full Look at the Nike Kyrie 1 "Deceptive Red"
Just a little over a month ago Nike unveiled all star point guard Kyrie Irving's first ever signature sneaker model. Hypebeast gives us perhaps the best look yet, with the latest Nike Kyrie 1 "Deceptive Red" pictured in full detail. 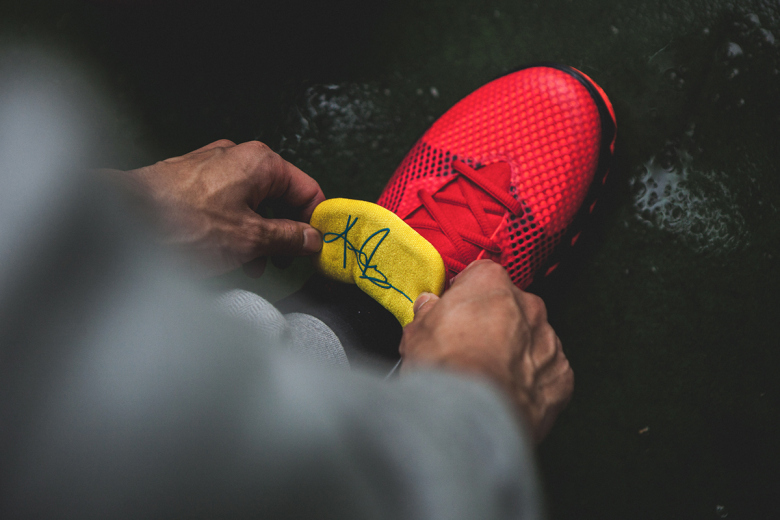 The deceptive red colorway was chosen to represent Irving's quickness and accelerated first step on the court. The jagged pattern on the toe and heel is inspired by the Sydney Opera House. Attractively priced compared to other Nike Signature models, the shoe features strong construction with a breathable hyperfuse upper. The Nike Kyrie 1 "Deceptive Red" arrives at retailers around the global on January 10th, 2015.